The Hydrogen bond: An electrostatic Interaction?, Ab initio methods applied to hydrogen bonded systems, Density functional theory and it's application to hydrogen bonded systems, Ab initio GIAO magnetic shielding tensor for hydrogen bonded systems, Hydrogen bonding by semiempirical molecular orbital methods, Simulating proton transfer processes: quantum dynamics embedded in a classical environment, Theory of solvent effects and the description of chemical reactions. Proton and hydride transfer processes, Infrared spectra of hydrogen bonds: basic theories, Infrared pump-probe spectroscopy of water on pico and subpicosecond time scales, Hydrogen bonding and nuclear magnetic relaxation in liquids, Collective behaviour of hydrogen bonds in ferroelectrics and proton gasses, Computational experiments on hydrogen bonded systems: from gas phase to solutions, On hydrogen bond computations in very large chemical systems. The Hydrogen Bond: An Electrostatic Interaction? Ab Initio Methods Applied to Hydrogen Bonded Systems (J. de Rejdt & F. van Duijneveldt). Density Functional Theory and its Application to Hydrogen Bonded Systems (H. Guo, et al.). Ab Initio GIAO Magnetic Shielding Tensor for Hydrogen Bonded Systems (J. Hinton & K. Wolinski). Hydrogen Bonding by Semiempirical Molecular Orbital Methods (D. Hadzi & J. Koller). Simulating Proton Transfer Processes: Quantum Dynamics Embedded in a Classical Environment (H. Berendsen & J. Mavri). Theory of Solvent Effects and the Description of Chemical Reactions: Proton and Hydride Transfer Processes (O. Tapia, et al.). Infrared Spectra of Hydrogen Bonds: Basic Theories, Indirect and Direct Relaxation Mechanisms in Weak Hydrogen Bonded Systems (O. Henri Rousseau & P. Blaise). Infrared Pump Probe Spectroscopy of Water on Pico and Subpicosecond Time Scales (S. Bratos & A. Laubereau). Hydrogen Bonding and Nuclear Magnetic Relaxation in Liquids (H. Hertz). Collective Behavior of Hydrogen Bonds in Ferroelectrics and Proton Glasses (R. Blinc & R. Pirc). Computational Experiments on Hydrogen Bonded Systems: From Gas Phase to Solutions (E. Clementi & G. Corongiu). Epilogue: On Hydrogen Bond Computations in Very Large Chemical Systems (E. Clementi). List of Compounds and Hydrogen Bonded Systems. 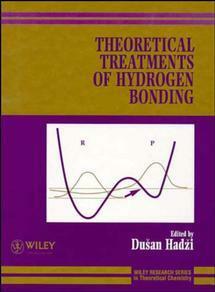 This book presents the reader with the state of the art of the key theoretical approaches to the essential phenomena of hydrogen bonding, considering the hydrogen bond in a range of systems. It demonstrates the overbearing importance of H bonding in large biological systems.